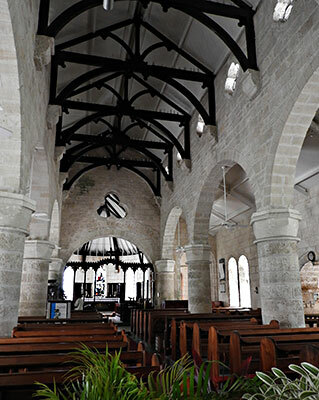 Located in Holetown, St. James, Barbados, St. James Parish Church is one of the oldest buildings in Barbados. It stands on one of the oldest parcels of consecrated land on the island, often known in Barbados as “God’s acre”. 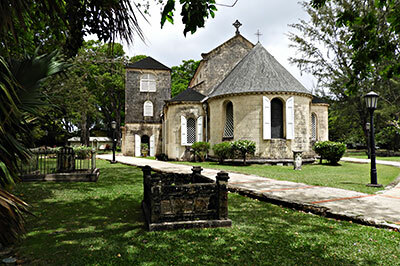 Constructed in 1628 only three years after the arrival of settlers in Barbados, some of the first settlers are buried in its cemetery. The first settlers landed on the island on February 17, 1627 not far from the site where the church was built. In 1628 the settlers constructed a wooden building on this site. After a hurricane on August 31, 1675 which devastated most of the island, a stone structure replaced the former wooden building in the early 1690s. This stone structure was made from coral and limestone from which this non-volcanic island is made. After nearly 200 years the walls of the original stone building began to decay and were partly demolished and replaced by a larger, more substantial structure in 1874. Except for the sanctuary and north porch, added in 1900s, this is substantially the building still in use today. Daily tours are conducted to share the church’s rich history. There are many beautiful monuments, and items of historical value, some dating back to the 1600s. 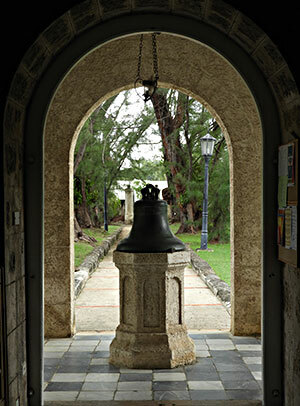 The original bell, the oldest in Barbados, carries the inscription “God Bless King William 1696”. It was manufactured by the Whitechapel Bell Foundry that also produced the American “Liberty Bell” and “Big Ben”. It fell from the belfry in 1881 and was badly cracked but a benefactor donated a new bell. However, considering its historic value the old one was sent to England for repairs and returned to Barbados to be retained as a monument, which predates the American “Liberty Bell” by 56 years. Discovery Bay is located on the island’s desirable West coast and is popular with British and European visitors. This All Inclusive offers a place of discovery for couples, families, single travelers and those looking for a relaxed resort. If a rustic style set in incredible scenery is what you’re looking for, look no further than the Discovery Bay in Barbados. What’s more, the islands most exclusive Limegrove shopping mall is nearby.